Before I was a makeup artist, I wasn't really a lipstick person. 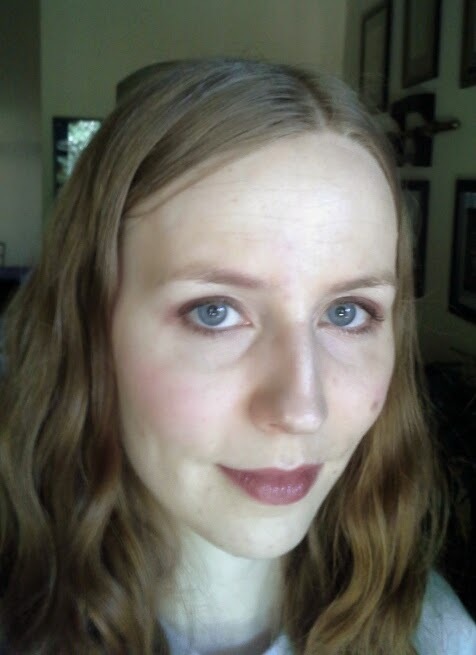 Lipsticks were often dry, emphasizing flakes or cracks on my lips. I tended to prefer glosses and tinted balms. However, lipsticks have been getting better and better. 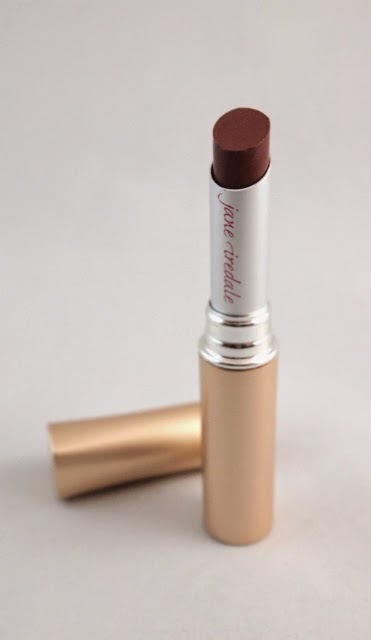 Jane Iredale now offers one that is very moisturizing and feels more like a glaze than a stick. Ladies, this is not your mother's lipstick - it's creamy and smooth for the modern age. The name? PureMoist lipstick. This lipstick glides on easily, yet still provides bold color. I loved the silky, moist feel and the thin, precise tube. The packaging is beautiful, and the product smells great. I was sent a sample of Katerina, a deep burgundy/wine hue. It is a bolder hue that seems to beg for a great outfit and salon hair. But PureMoist comes in a variety of shades, so you could choose something softer, if that's your preference. This shade rates a low 1 on the EWG Skin Deep database, but does contain lake colors (if that is a concern for you). It is designed to be long-wearing and wears off gracefully (won't leaving odd color smudges). The formula is like a cross between a tinted balm and a lipstick, so it's more firm that a lip balm but more moisturizing than most sticks. I love how all the shades are vegan, including the true red, Margi. If you're looking for a creamy lipstick for vegans, this is a nice option.